Participate in the school bag donation drive by heading to your local shop! It is end of August on the shelves dedicated to the new school year of the sign Carrefour of the shopping centre of Fontvieille. 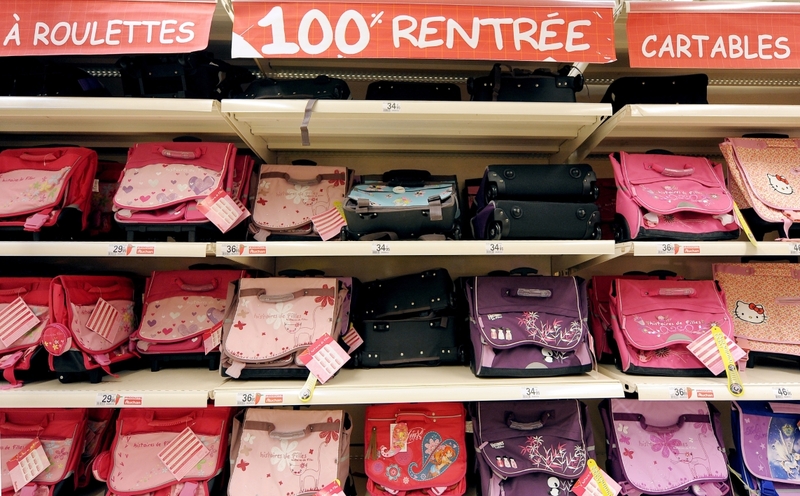 People have begun buying school supplies for their children. The list of supplies is not too demanding. You can find the favourite satchel for example in this shop. While the pens, satchels and other notebooks with the matching covers stand on the shelves of the area dedicated to stationery, another type of exchange is taking place at the reception. Parents and children are generously donating their bags and satchels. Involvement is strictly voluntary, selling is not our objective, said Alain Charpenel, head of the Stationary department. They have so far recovered between 150 and 200 bags per year for about 2,000 euros redistributed via vouchers of ten euros, according to Alain Charpenel. A record of 400 bagswas reached in mid-August, one month before the end of the Drive, set for 18 September. The condition of the bags is checked once at the reception and then they are held in reserve before being sent to the nearest office of the French association Le Relais. A voucher of ten euros is issued to the donors. It is worth starting from fifty euros of shopping related to the academic activity of their offspring-stationery, computer science or clothing. The only big supermarket in the area, with 7,000 to 8,000 customers per day, has been participating since 2012 in the Drive managed in France. The launch date of the marketing campaign started in mid-July. A calendar “internalised and demanded by parents” according to experts. According to management, purchases for the new school year, which stretch from mid-July to the end of September, represent 40% of the department’s annual turnover. A Monegasque association, Les Enfants de Frankie, handles the redistribution of the recovered bags. By comparison, officials in an operation similar to the famous Stars ‘N’ Bars have collected at least 250 bags since late June, according to Louise Svensson, head of Ecohub. The social and solidarity initiative of the famous bar founded by Katy Powers will end on September 11, the day of return of the classes for young Monegasques. The bags will be given to families in need.